If you're on a mission for a casual yet on-trend ensemble, dress in a John Elliott classic plain t shirt and white chinos. Both garments are totally comfortable and will look great together. Take a classic approach with the footwear and rock a pair of white leather oxford shoes. 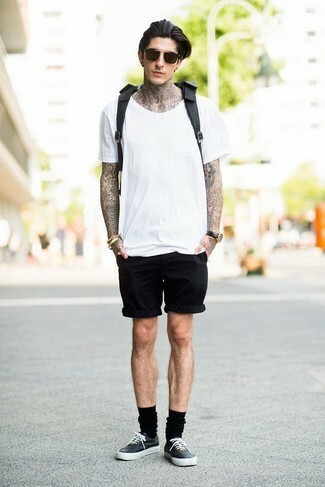 Consider pairing a John Elliott classic plain t shirt with black shorts to get a laid-back yet stylish look. For footwear, opt for a pair of black leather low top sneakers. 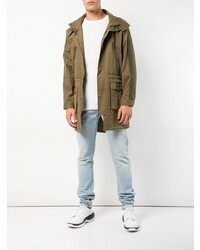 If you're in search of a casual yet on-trend ensemble, consider pairing a John Elliott classic plain t shirt from farfetch.com with charcoal jeans. Both items are totally comfortable and will look great together. 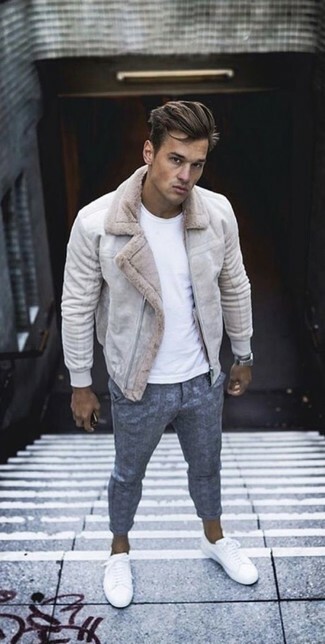 A pair of tan suede chelsea boots will add some real flair to this getup. Contrary to what you might believe, being a dapper dude doesn't take that much work. Just consider pairing a white crew-neck t-shirt with grey gingham wool dress pants and you'll look nice. Grab a pair of white leather low top sneakers for a more relaxed aesthetic. 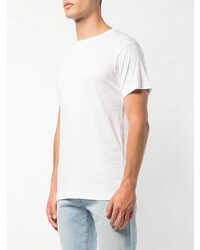 If you're searching for a casual yet sharp outfit, opt for a John Elliott classic plain t shirt from farfetch.com and blue jeans. Both garments are totally comfortable and will look great paired together. Go for a pair of brown slip-on sneakers for a masculine aesthetic. 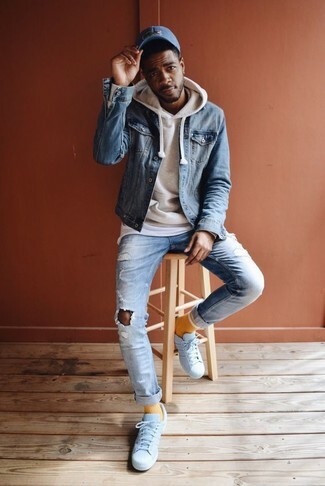 If you prefer comfort dressing when it comes to fashion, you'll love this on-trend pairing of a John Elliott classic plain t shirt and light blue ripped jeans. Kick up the cool of your outfit by completing it with white leather low top sneakers. 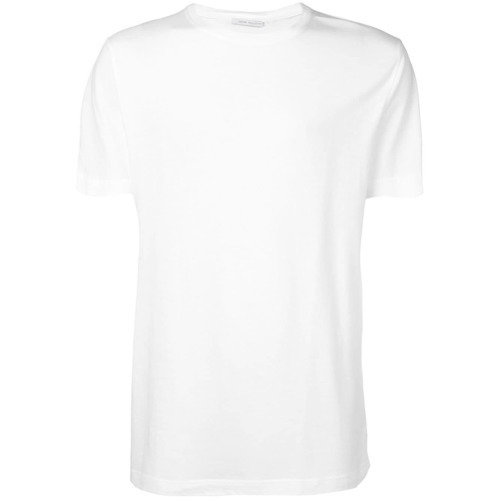 Consider teaming a white crew-neck t-shirt with black skinny jeans for a laid-back yet fashion-forward outfit. When it comes to footwear, this getup is complemented nicely with black athletic shoes. Marry a John Elliott Classic Plain T Shirt from farfetch.com with charcoal plaid dress pants to achieve a sleek and sophisticated menswear style. 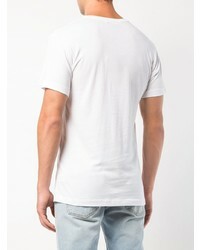 If you're after a casual yet stylish ensemble, opt for a white crew-neck t-shirt and navy jeans. Both garments are totally comfortable and will look great paired together. 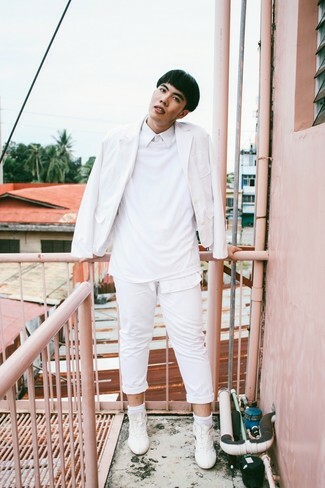 Finish off your getup with white leather low top sneakers.